Where do classic computer games go when they die? It looks like nowadays game publishers are putting them online for nostalgic fans to play for free. 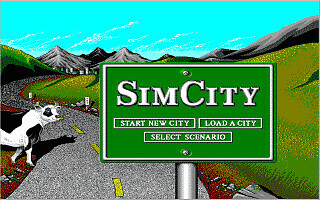 Electronic Arts has made SimCity Classic available for online play, but you have to register first. You can also download a 1.6MB version for offline play from Abandonia. You might recall that Command & Conquer Gold was also released as a free download recently.